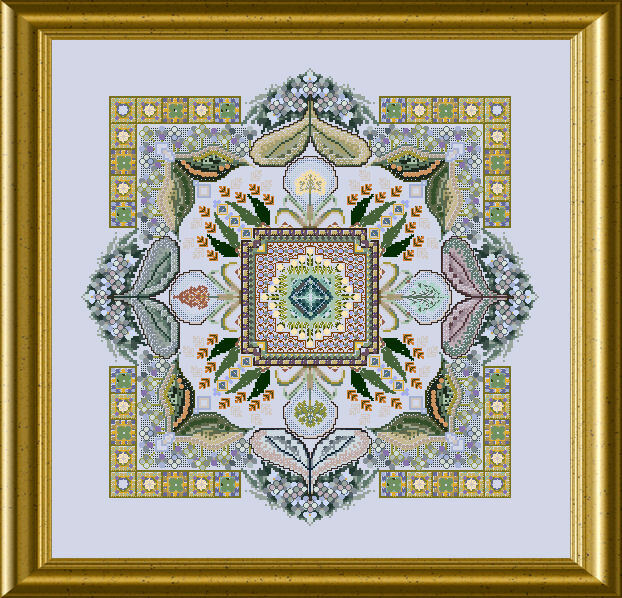 This design features a medium sized Mandala with colors and the theme of a foggy Autumn scene in your garden.The last Hydrangeas flower still, but you already see the changing colors of leafs and grass. Many Special Stitches and a variety of interesting threads make for an interesting time of embroidery. Of course we will use beads and crystals to highlight your stitching ! 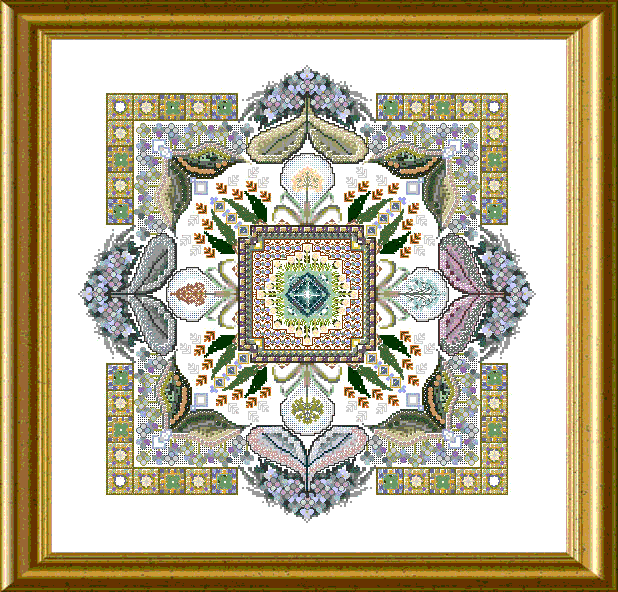 This design has a size of 232 x 232 stitches.